The Booking Notifications tab of your dashboard takes you to a menu that allows you to customize reminder notifications to be sent out periodically prior to a booked date. There are two categories of reminder emails, ones sent to the guest, and ones sent to the owner. You can select up to four reminder emails for both categories, and then customize how long before the booking date they are sent. 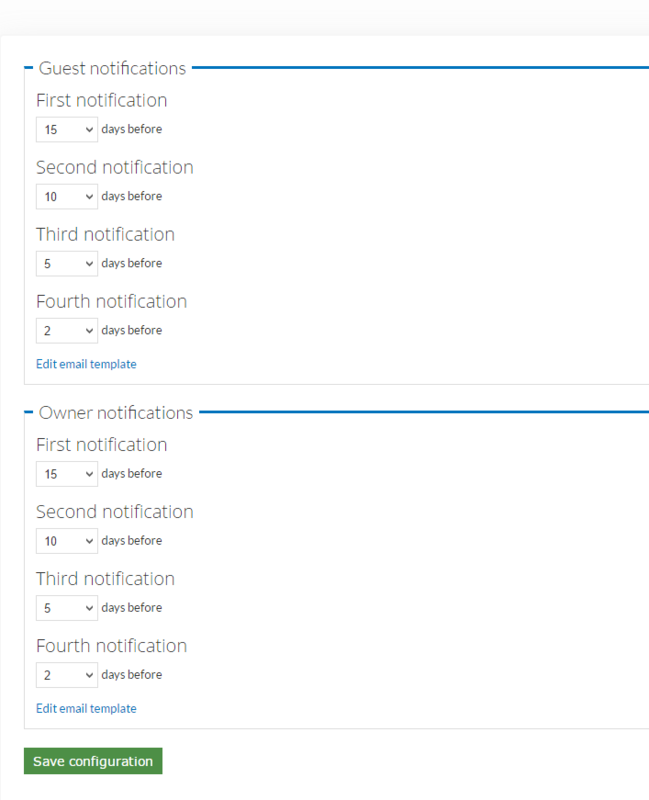 You can also edit the reminder template by accessing the Edit email template option at the bottom of the page. Keep in mind that any changes made to reminder email schedules will be reflected in future bookings only. Reminder emails already scheduled at the time of changes will continue to be sent out on the original schedule.